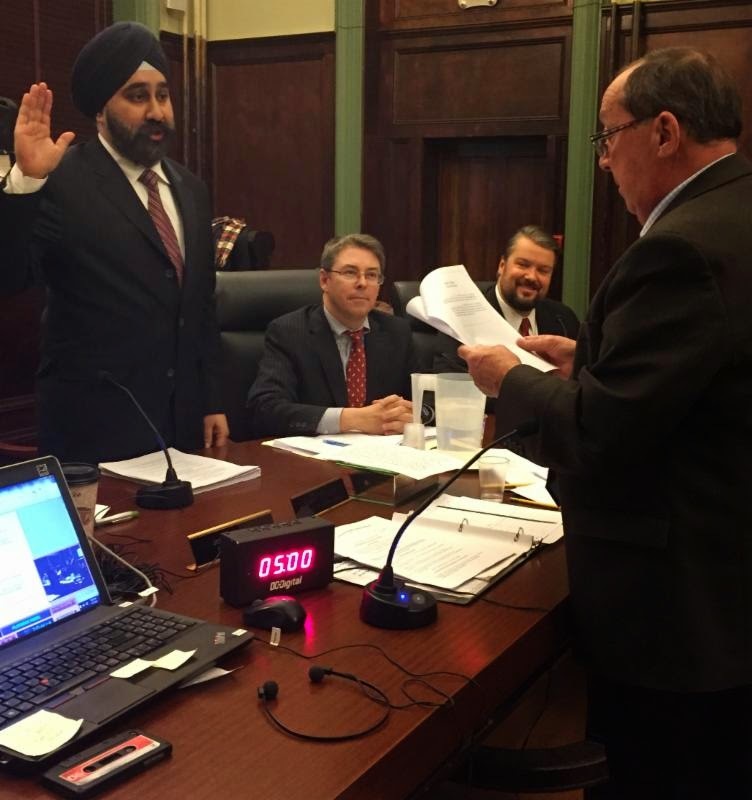 On Wednesday night, I was honored to be elected as the Hoboken City Council President for the coming term. I am grateful for my council colleagues' confidence in me and look forward to working with the residents, Mayor Zimmer and my fellow council members to move our city forward in 2015. We face several exciting challenges in 2015. The council must adopt a budget for 2015 that keeps municipal taxes stable or lower than the current levy. We are also continuing the fight against proposed overnight PATH service cuts. On Wednesday, the council unanimously adopted a resolution I sponsored that delivers a strong message to the Port Authority that Hoboken will continue to fight any ill-advised plans to trim service. Taking away 24-hour PATH service from our city will not only hurt our residents, but potentially impact future developments, especially ones modeled upon reliable public transportation options such as PATH service. In 2015 I also look forward to advancing a number of development and open space initiatives in the City. Among them are the NJ Transit Project, the Southwest Park, the Western Edge, the BASF/Henkel site as a future park, and the North End rehabilitation area. Each of these projects, if done right, presents enormous promise for improving the quality of life for our community. They need to be undertaken with a strong emphasis on balanced development that, first and foremost, serves the needs of residents and not the financial interests of developers.